FANTASTIC COMMUNITY & AFFORDABLE PRICING! 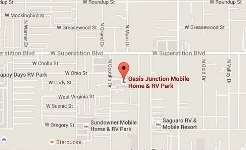 Come and enjoy friendly neighbors and a relaxing environment at Oasis Junction Mobile home & RV Park! Close to shopping, retail and restaurants, our community is the best of Arizona desert living in a relaxed and comfortable surrounding. 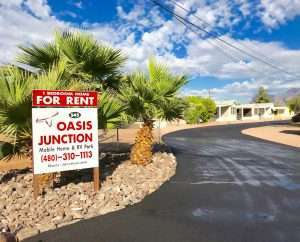 From 300 days of sunshine to scenic landscapes of the Sonoran Desert, Oasis Junction offers a fantastic quality of life. 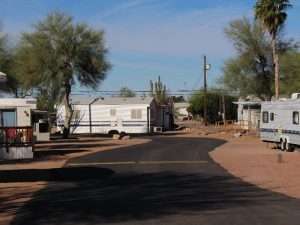 Enter your details on the right for more information and let’s make Oasis Junction Mobile Home & RV Park your home or call us now at (480) 310-1113. 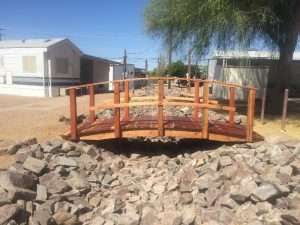 Oasis Junction Mobile Home Park offers you the best of Arizona desert living in a relaxed and comfortable surrounding… Our community is located in the center of Apache Junction, off Main Street (Apache Trail) and just minutes from the 60 Fwy to the South or the 202 Fwy to the West. Shopping, dining, leisure, nature, and scenic desert drives are all just minutes from your front door. Landscaped with trees throughout, our 62 space mobile home community is filled with the charm and splendor of the Sonoran Desert. Situated with views of Superstition Mountain and the surrounding desert, you will be able to watch the brilliant color changes as the sun passes overhead and sets to the west. Whether you’re staying with us for a month or year round, you’ll love the quality of life Oasis Junction Mobile Home Park has to offer. 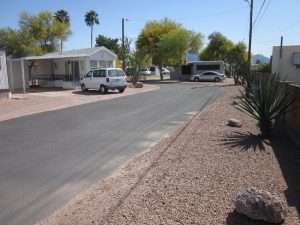 Read our online reviews and you will discover why Oasis Junction Mobile Home Park has consistently earned high reviews. With friendly neighbors and a wonderful environment, nothing can beat the fantastic quality of life Oasis Junction has to offer. The wide range of local amenities and nearby attractions ensure you’ll find a life rich with all the pleasures of Arizona living. We are ideally situated off of the Apache Trail (Main Street) at 545 N Ocotillo Dr between Apache Trail and Superstition Blvd in the heart of Apache Junction conveniently close to shopping, retail, restaurants and more! The Superstition Freeway, U.S. Route 60, runs 2 miles south of the park which provides an easy commute to downtown Phoenix. Are you ready to live in a city rich with history with beautiful views of the Sonoran desert? Call Us at (480) 310-1113. Let’s make our mobile home community your home.